By 2022, online videos will make up more than 82% of all consumer internet traffic — 15 times higher than it was in 2017. For building product sales teams, it allows those with complex, bespoke and difficult to explain products to deliver their message to potential customers. It will also save your company time. Every 10 seconds of video you record is equivalent to 81 seconds of typing. It doesn’t have to be expensive, it can be a screen-recording of you explaining your technical drawing to your customer or perhaps a smartphone recording answering a question they have about your product. At Insynth, we use video because sometimes it’s quicker and more personal than typing an email. It Saves Time – instead of sending an engineer to site, why not do it through video? No Way of Misinterpreting A Video – video allows for tone of voice and body language too. No Spelling Mistakes or Typos. The Novelty Aspect – when’s the last time you received a video email? Better Click Through and Response Rate. 1. Product Demos – if a picture is worth a thousand words, then how much is a video worth? Make it personal. What would an architect look for most in your product? 2. Case Studies – think about what assets you may already have, perhaps it’s drone footage or a time-lapse clip of your product on a building site. 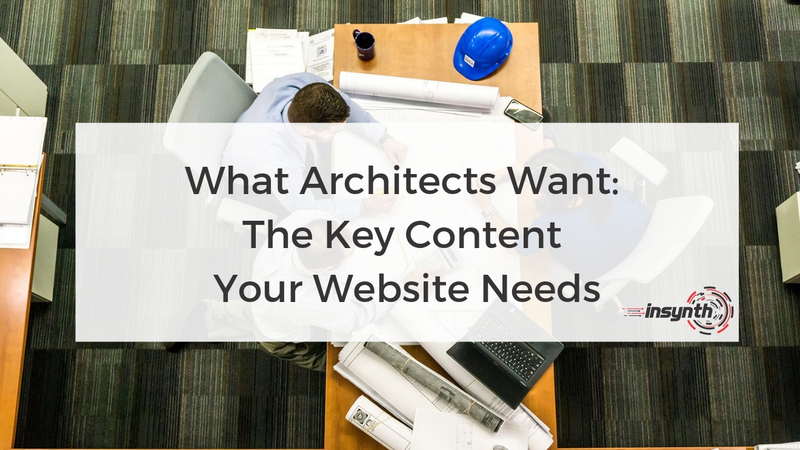 Send them straight to the architect’s or contractor’s inbox rather than adding friction to the process. 3. Testimonials – happy customers talking about how your product solved their problem adds trust and credibility to your product. 4. Installation Info – a “how-to” style video on the complexities of fitting your product will save your customer time and frustration. 5. Customer Service Explanations – instead of writing a long email, a 2-3-minute video explaining how to do what the customer wants is more helpful for them. 6. Live Q&As – perhaps you’ve got a group of self-builders’ wanting to find out more about your product. This is a great way to create engagement and content (record it!) around your product. 7. 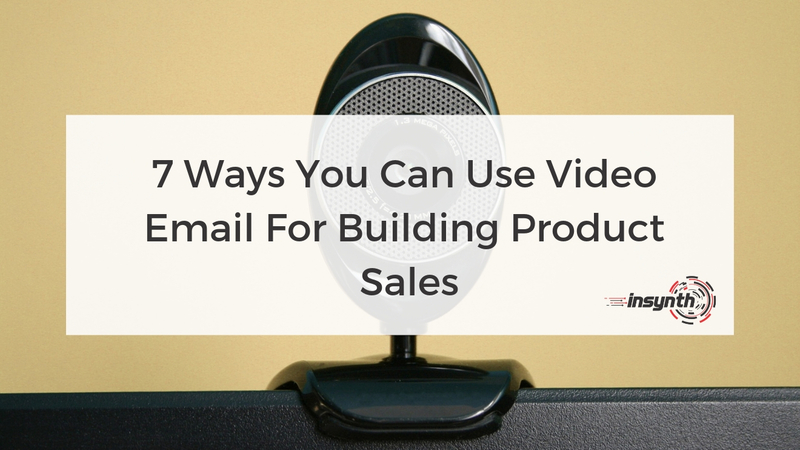 1:1 Prospecting – video is more engaging than emails or phonecalls. One company found that by using video it increased their ratio of activity to meetings booked by 4X. 1.Include “Video” In Your Subject Line – this boosts open rates by 19% and click-through rates by 65%. Directly embed A Video – it will save your users a click and fewer clicks means a better experience for your customers especially on mobile devices. Keep it Short - 33% of viewers will stop watching a video after 30 seconds, 45% by one minute, and 60% by two minutes. Reps and Managers Need to Be “Bought In” – initially I found using video quite uncomfortable, it’s important to create a playbook and maintain enthusiasm throughout the process of learning it. These are a selection of screen-casting apps. These allow you to record your computer screen, yourself and narrate audio over the top, creating instantly sharable videos. They run either as a browser extension, web app or desktop app. Here are a few of the most popular. Vidyard – an extremely easy-to-use platform that allows you to send videos within your email, integrating with Outlook, MailChimp and HubSpot. It also provides analytic information and an instant notification when the video is watched. Loom – the recording tools are very similar to Vidyard. It also integrates with popular apps such as Gmail, Salesforce and Jira. It’s slightly behind on the analytic information but these features have been announced and are coming soon. Wistia – a popular option for websites, social media and email marketing. Wistia’s viewing data is well integrated into popular platforms such as HubSpot, Marketo and Pardot. It’s viewing style is slightly different to the latter, offering a split style video. Zoom – offering scalable live video meetings. I find it’s great for interactive sessions as it allows the audience to chat over text, audio and video. It’s a great option for webinars, product demonstrations and meetings. Zoom also has the ability to record and cast your screen. Video allows you to harness the vocal and nonverbal aspects of communication. You can project your sincerity, authenticity and people can get a feel for you as a person. It humanises digital sales and marketing. The stats can’t be ignored, online video consumption has risen year on year. It’s time to take notice and think about how you can use video in your business. If you’d like to have a chat around anything I’ve mentioned in the blog. Get in touch, I’d be happy to help and answer any of your questions. Insynth Marketing is a leading UK construction marketing agency based in Shifnal in the West Midlands. 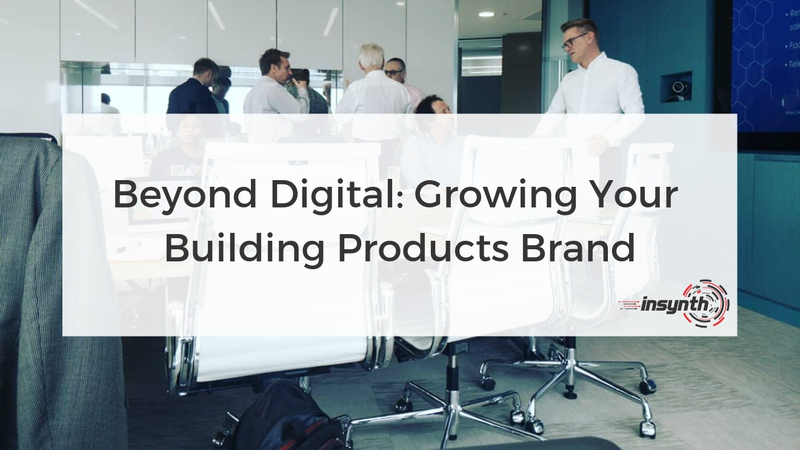 They use the latest inbound marketing techniques such as construction inbound marketing, to support building product companies to grow their business by proactively driving sales lead generation activity. Luke is a Business Development Manager at Insynth Marketing. With a passion for learning and technology, he'll help you leverage technology to generate more leads and save you time.